Spatial Research Excellence by ESS (SREss) is a project at the European Spallation Source ERIC (ESS) funded by the European Union as part of its regional investment policy through the European Regional Development Fund. Distributed from the European Regional Development Fund, this investment is meant to support cutting-edge research. There is a need to renew neutron sources in Europe. New facilities in both the US and Japan mean that Europe risks falling behind. The societal challenges associated with climate, health and energy may be helped by the research done at ESS. This is described both in EU2020 and the regional development strategy. 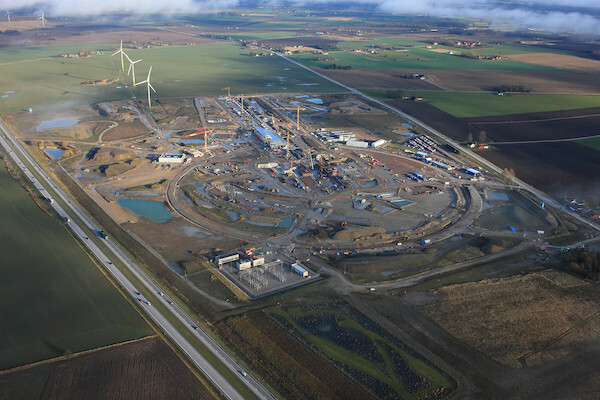 The aim of the SREss project is to secure the basic physical infrastructure of the research facility under construction in Lund, thus laying the physical basis for the future instruments. The total duration of the SREss project is three years, divided into two phases.